Make that extra effort and get yourself to the pool. This week’s cold conditions were a friendly reminder that winter is firmly on its way. While it’s a great time to retreat indoors, light a fire and sip on a warm hot chocolate, exercise is a great way to beat the winter blues. · Get active indoors – join a gym or indoor class and get moving. Many community centre’s / YMCAs offer reduced gym packages where you can work out and keep warm. Even if you’re not a gym member, lots of gyms open their classes to the wider public. · Go window shopping – particularly in a heated shopping center. Many mall walkers can gain early entrance to local malls. 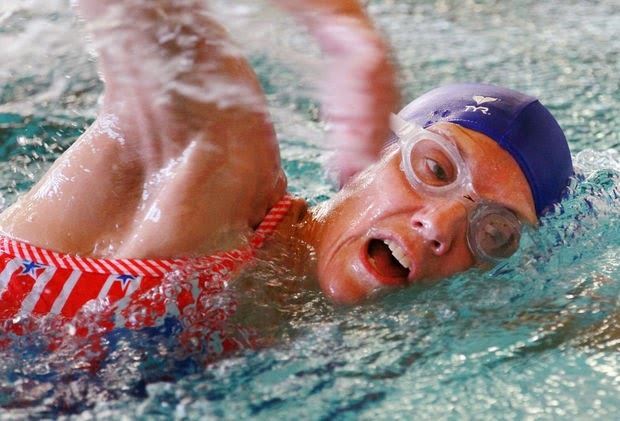 · Lap it up - Swimming is a great way to exercise in the winter because it’s an indoor activity. It works your whole body, burns calories, strengthens your posture and improves your heart and lung function. · Switch on the TV – with all the cable channels at present it’s easy to catch an exercise show. You may seem a little daft jumping around your sitting room but it’s a free and easy way to get moving. · Bowl - fun, social activities like bowling or dance class can keep things interesting. Bowling can make physical activity less of a chore, so lace up those bowling shoes today. It can be hard to make the extra efforts in the winter months but your body and mind will thank you for it. Remember you can stop by the IPC at any time for a warm cuppa and a chat too!